PaperMoneyForum > Categories > Souvenir Cards & Security Engravings > Rewards of Merit! This kind of falls into the ephemera category, but there's a connection to engraving. I picked up three small items today. 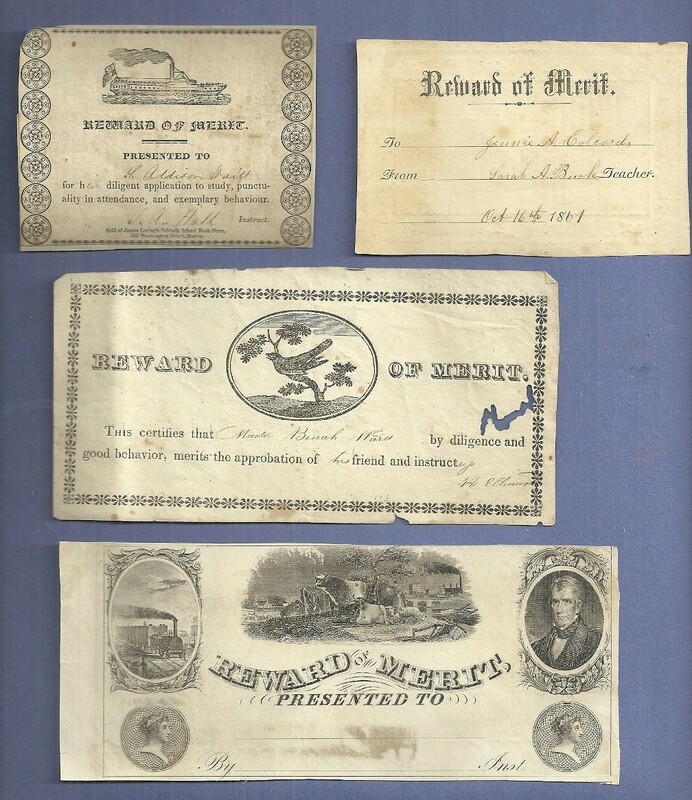 These are known as Rewards of Merit and they appear to be little slips given to a student by their teacher, probably for achieving some academic goal. These are each just a little larger than a business card, but on text weight paper. I've seen other examples of these and they seem to have been popular from the 1840s into the 1880s. Most of the ones I've seen are lithographic, but some were printed by bank note companies. 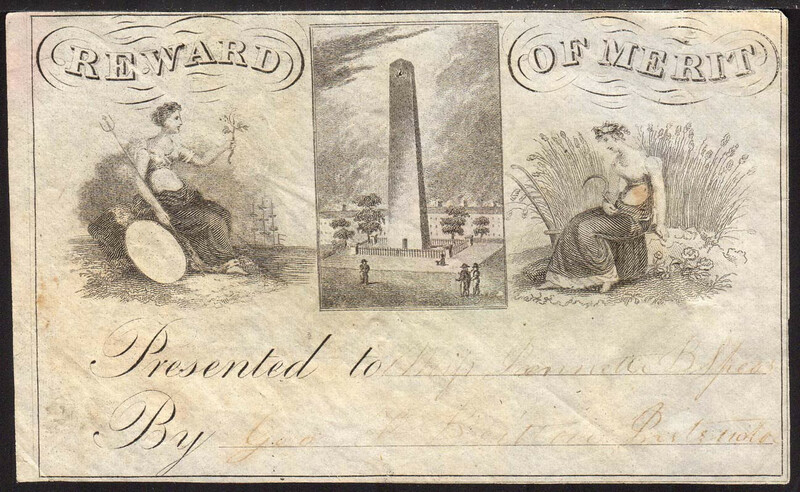 Of the three I now have, one does appear to be engraved - it shows two allegorical maidens, which I believe have appeared elsewhere on obsolete notes, and a vignette of what I think is the Bunker Hill Monument. The RoM with the hand-colored beaver may also be partially engraved, but it's hard to tell. I just found these interesting and hope to learn more about them. Maybe Bernie can chime in with some further background information. I have finally found some notes printed by Terry, Pelton & Co. (TP) of Providence and Boston. These printers/engravers existed from 1836-7, in the correct time frame for the B&O. 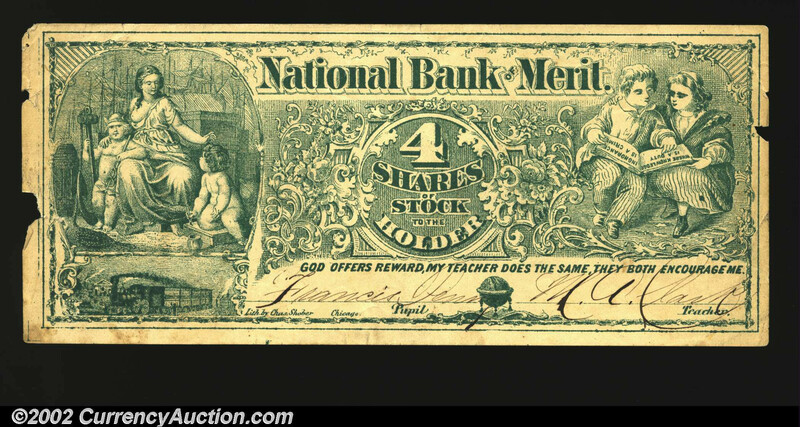 According to Bowers, certain assets were sold to The New England Banknote Co. (NEBN). 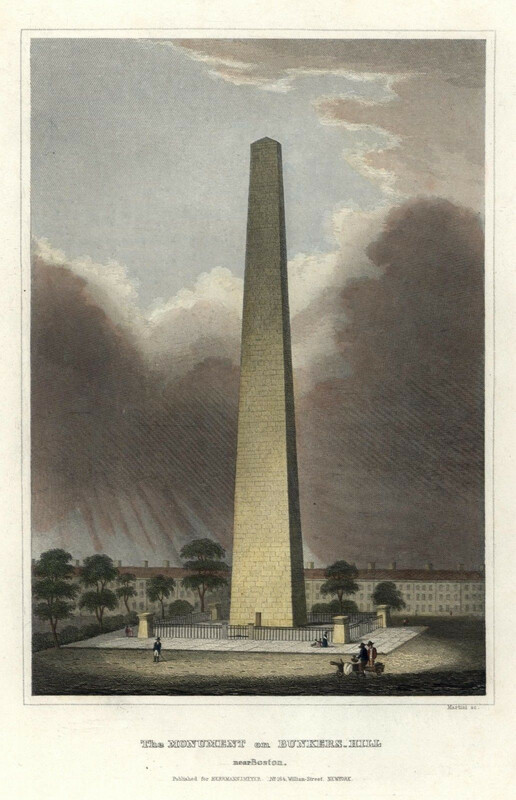 Pelton then formed the Boston Banknote Co. which lasted until 1840. Again, the NEBN company acquired the assets of his firm. Here are 3 notes from Terry, Pelton & Co. 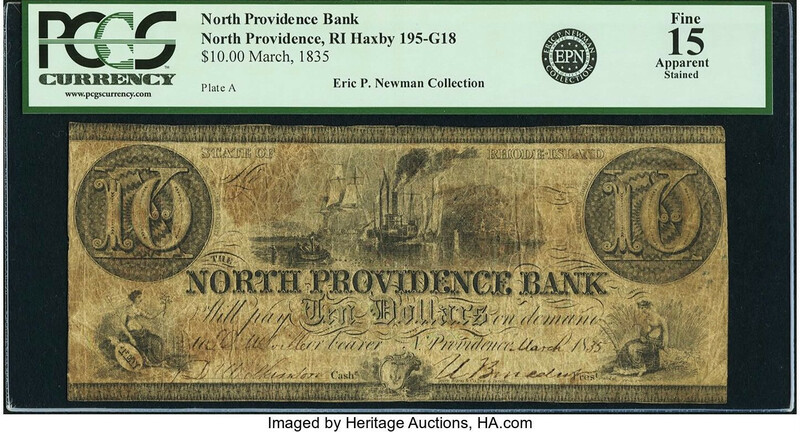 The first is a proof from The North Providence Bank (opened in 1834), RI-195-G20P. 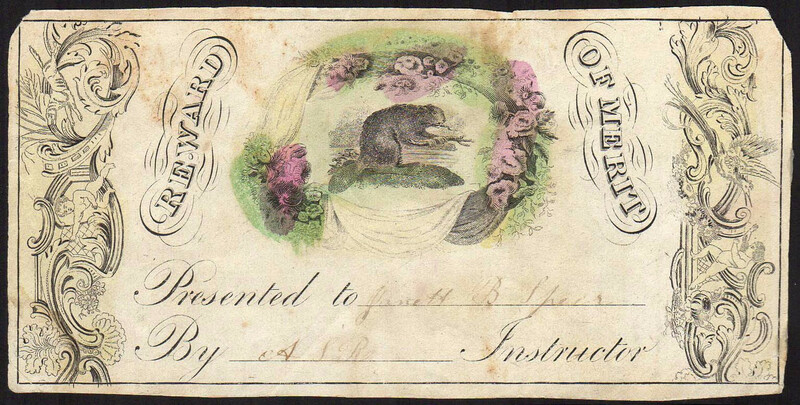 It is followed by an issued note (1835) also from this bank but RI-195-G18. 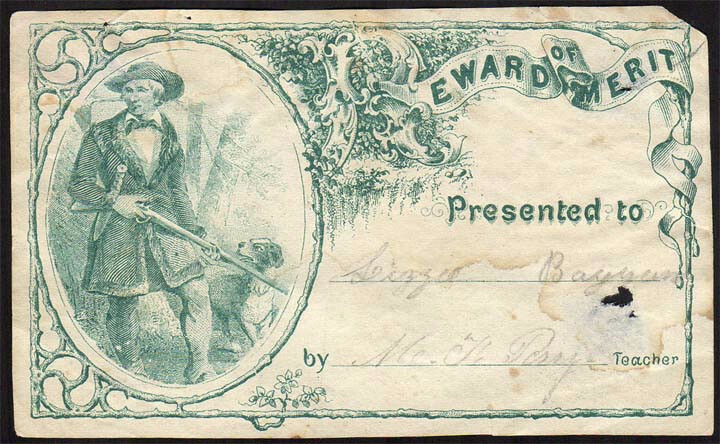 The last TP note is from the Wolfsborough Bank, NH-350-G22. This bank opened in 1834 and the note has a date of 1837. All three notes seem to have the same vignette that appears on your Reward of Merit! However, this vignette is still slightly different from the B&O vignette. Oh, I found the original Perkins vignette that was potentially the model for the left vignette of the Reward of Merit. I also show the right Perkins vignette again. 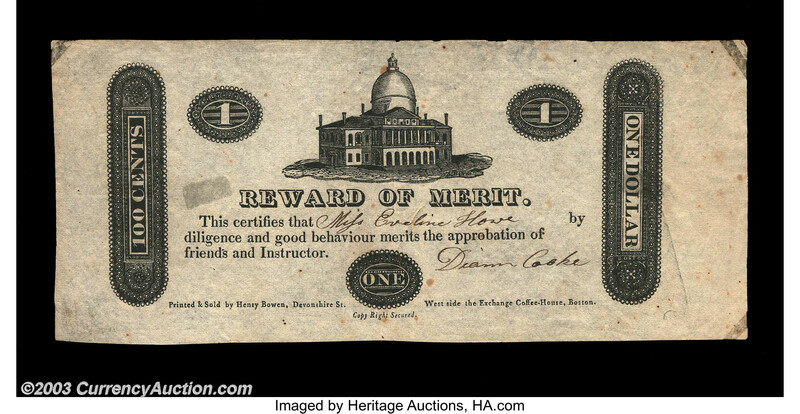 Notice that the Union Jack does not appear on the US Reward of Merit. There seem to be quite a few articles online regarding the Rewards of Merit. This article states that they started about 1830. "Between 1830 and 1860, historian Carl F. Kaestle has written, American schools, influenced by theories stemming from European educators Joseph Lancaster and Johann Pestalozzi, began to favor the inculcation of "internalized discipline through proper motivation." In practice, this kind of discipline might include positive reinforcement, like these certificates, as well as corporal punishment. " 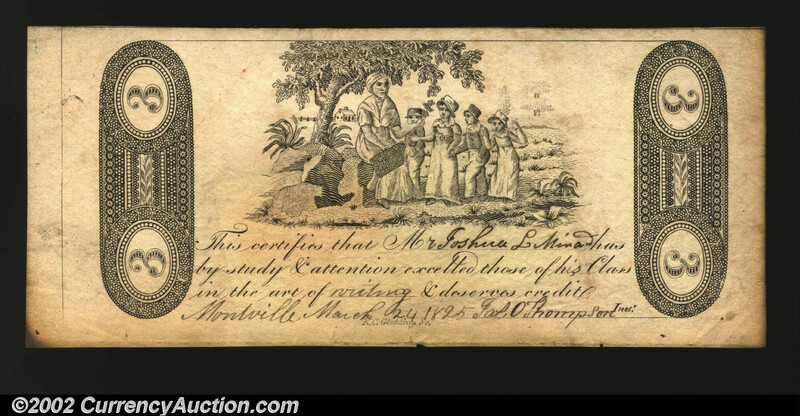 Here is a Reward of Merit from the 1810's that looks very similar to an obsolete note. Did they have Hoola Hoops in the 1810's? Looks like I found a topic that sparked some interest! Yes, indeedy the lovely lady on the right looks a whole lot like the one on the B&O RR stock, which is why I picked it up. I will revive that thread and if you wouldn't mind reposting these obsoletes there that would be great. I haven't found any of these "Rewards" with a bank note printer imprint, but some were almost certainly produced by these firms. Quirky engraved material like this is really interesting to me. Back then they were just called ... hoops. And here's another banknote style design (not mine). 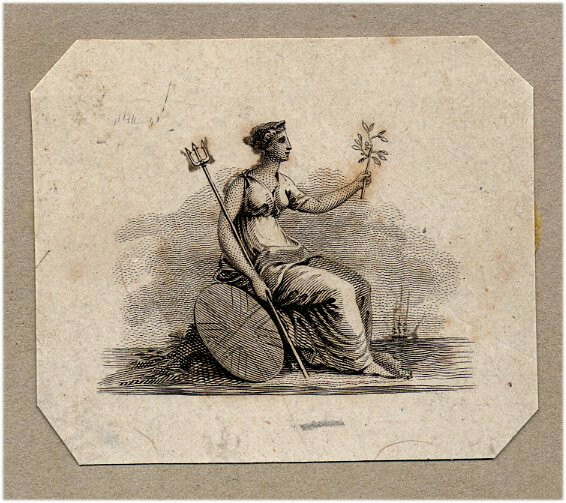 This kind of design fell out of favor around the 1860s when obsolete notes became obsolete. I managed to snag some more of these, including one with the President Harrison portrait. This is very much like an obsolete note -- same size and definitely engraved by a bank note printer. I wonder why they didn't put their business name on these. I'm certain I've seen the train and possibly the cows on some actual banknotes. Do these look familiar to anyone? Can we deduce which bank note company produced this? Yes, these vignettes certainly look familiar. They remind me of some spurious notes. Here is a private banknote from the State of Indiana, Gosport, unlisted in Haxby but listed in Wolka 249-3. It was issued by Alexander & Hays (1857). This seems to have the same central vignette (including the same filigree around the vignette) as your Rewards of Merit. Unfortunately, it does not have an imprint. 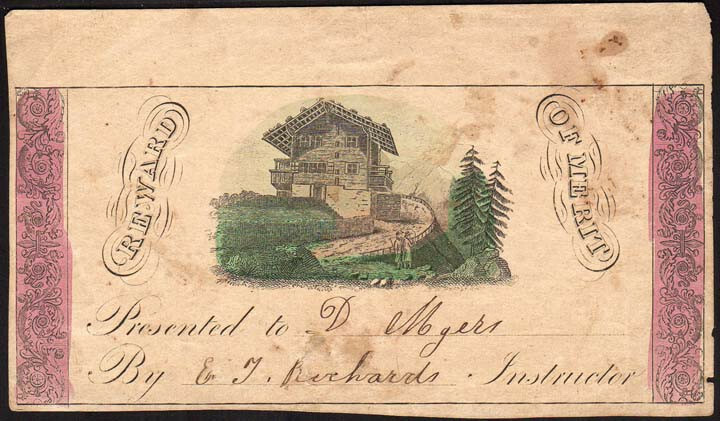 Here is another Haxby-unlisted note from The Bank of St. Albans in Vermont but for the Mechanics Exchange Company of New York (1837). This note has an imprint of S. Stiles, Sherman, & Seuth (not Smith?). This one looks close to yours? 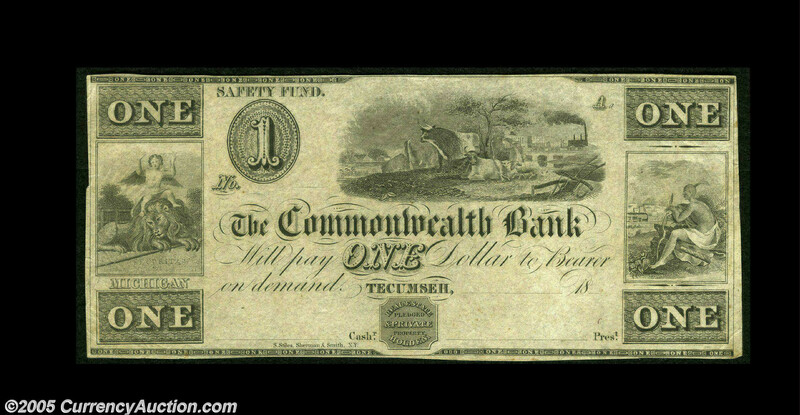 Next a Haxby listed note from the Commercial Bank, Salem, MA-1095-N10 (SENC) (1852). This is obviously a spurious/altered note. It has an imprint of the New England Banknote Co., Boston. Unfortunately, the conditions is pretty bad, such that it is not easy to determine if the vignette is the same as yours. 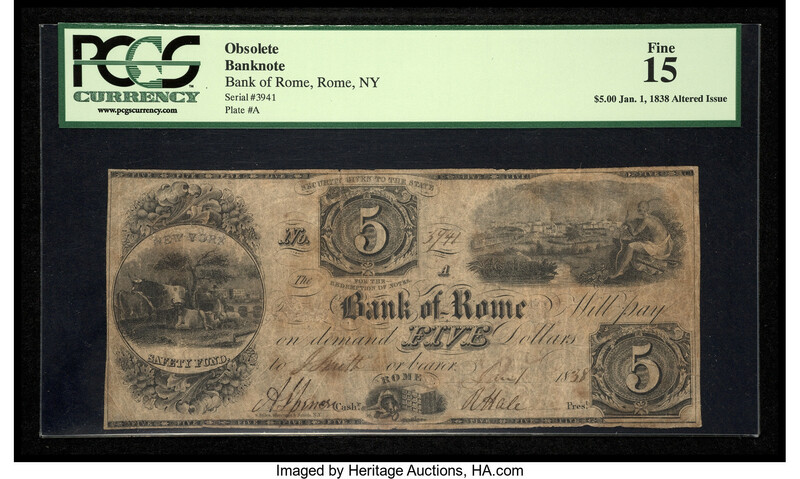 Finally, another private banknote (1838) from the Bank of Rome NY, Haxby unlisted. It has the imprint of S. Stiles, Sherman & Smith. 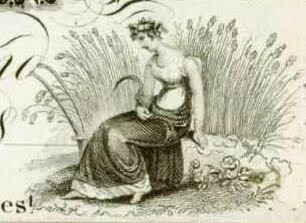 The vignette is a vignetted version of the above. Another Stiles note from the Commonwealth Bank of Tecumseh, MI-430-G2. It almost looks like the Stiles notes are from ~1837-8, while the NEBN notes are later? Stiles, Sherman & Smith! Now that's an obscure company. They were only around a couple years, 1837-39. But that's definitely a match for the cows. 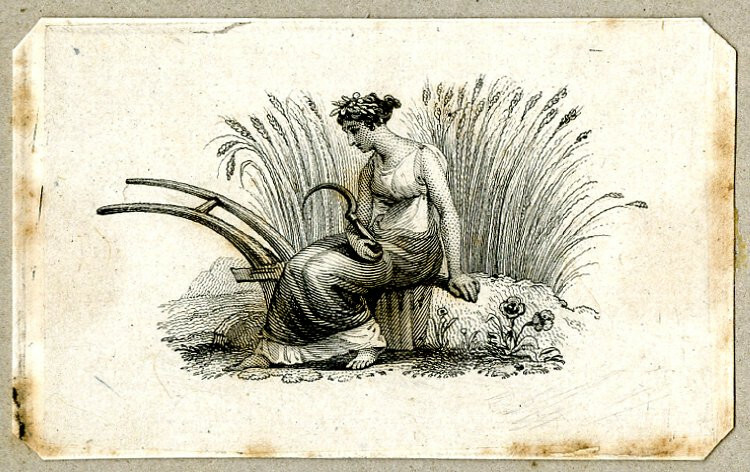 The NEBNC version is a different engraving; it lacks the little locomotive and the tree is different. Holy cow! Of COURSE they do! It just dawned on me that these engraved Rewards of Merit would be perfect, cheap, and plentiful material for counterfeiters to use in altering notes. They don't usually have denominations, but the vignettes and lettering could all be put to use for nefarious purposes. If I was a counterfeiter back then, I'd buy a huge batch of these Rewards and start cutting them up! Here's a very interesting bio on Samuel Stiles. Pelton was part of the gang, too! Good stuff...thanks. First I’ve heard of these. I got another one of these today. 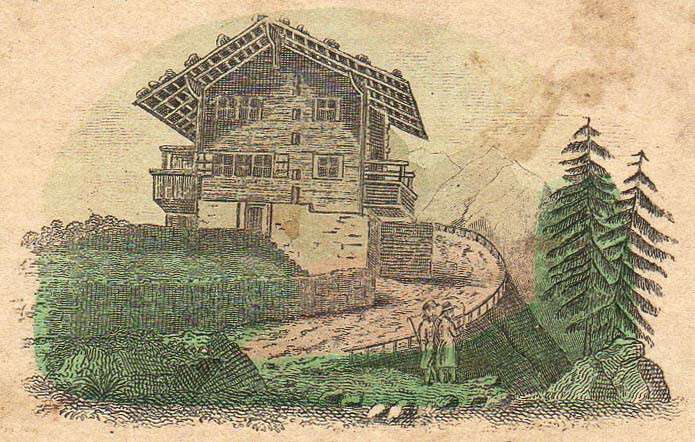 This one looks less like a banknote, but it is engraved and hand-colored. I like the Swiss chalet style building, although it's a strange looking schoolhouse, if that's what it is. I also found out that the banknote style reward that I posted earlier (w/Pres. Wm. Harrison) also exists as a lesser quality lithograph. Found this interesting note about Terry, Pelton and Company from the ESylum archives.